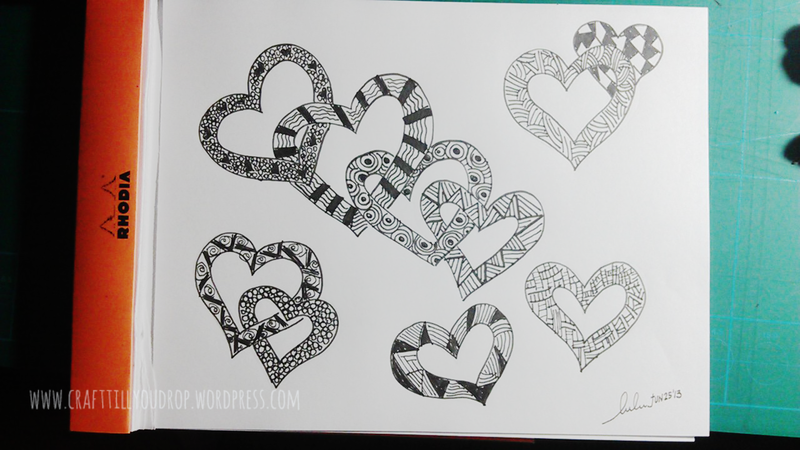 zentangle is the art of drawing images using repetitive patterns. i have been seeing such artwork around and have been curious about how to make such intricate artwork. 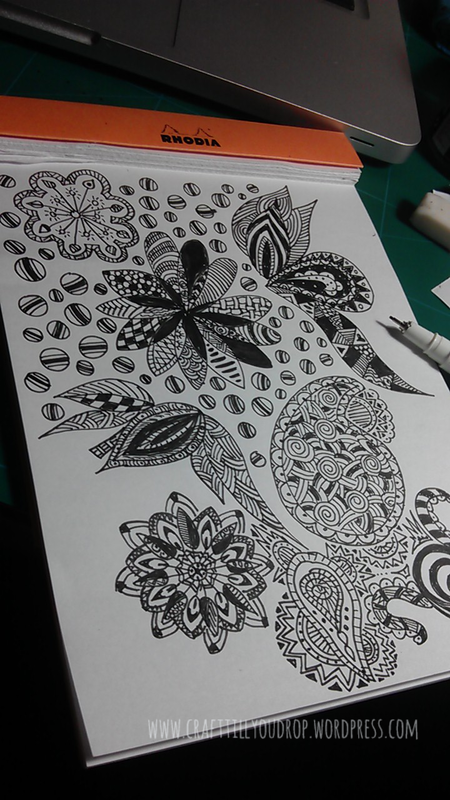 i thought it was simply called doodles and realized not too long ago, that there’s a proper name for this artform – zentangle. well, i have tried doing it today. i have realized that it is not as complicated as it looks. it starts with a line followed by another line to outline it. the spaces created in between the lines make room for random patterns. just draw anything inside the spaces, there are no rules. i should have taken a series of photos to show how the drawing evolved… o well, too late for regrets. a how-to post coming soon. meanwhile, here’s another one i made tonight, not quite done. i’ll definitely make more in the days to come. try it yourself. it’s quite therapeutic and inspiring.